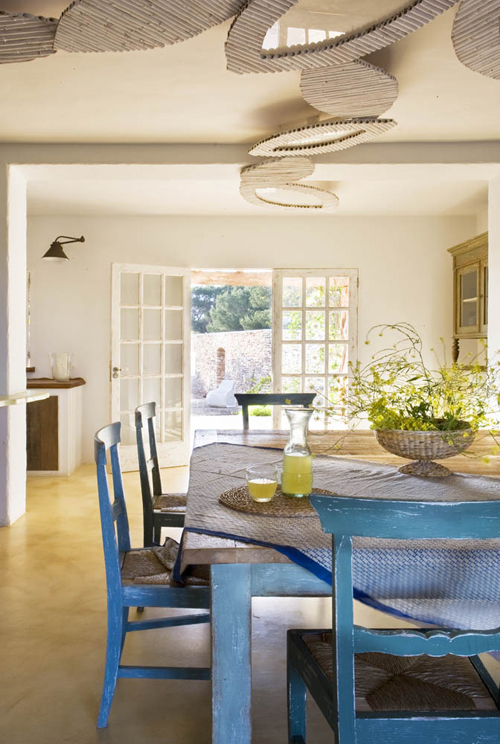 Today post shows another gorgeous home located on Formentera, Spain. I featured this house last year and it still is one of favorites. 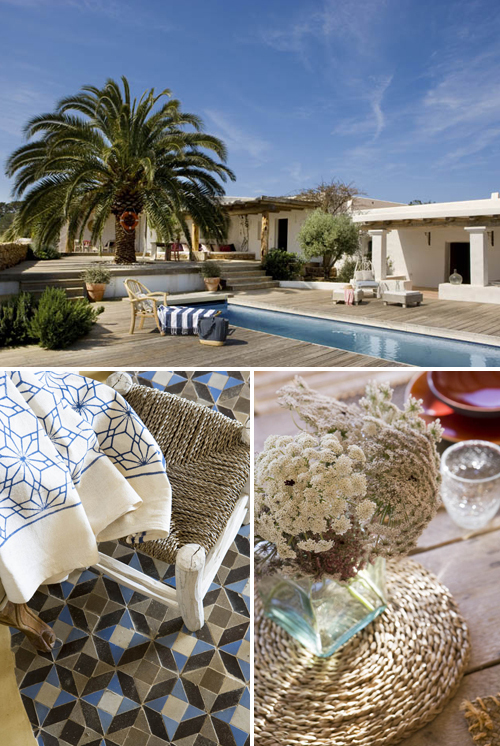 I love ever part of this home, especially the very inviting outdoor areas. 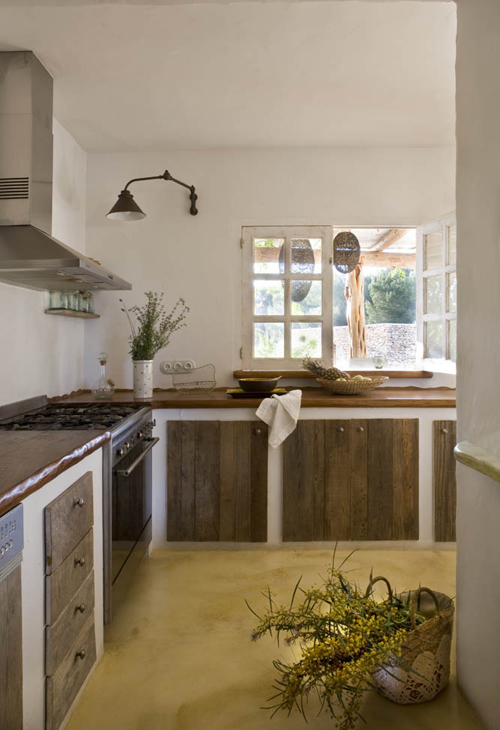 Wooden kitchen cabinets and white walls: such a beautiful combination. 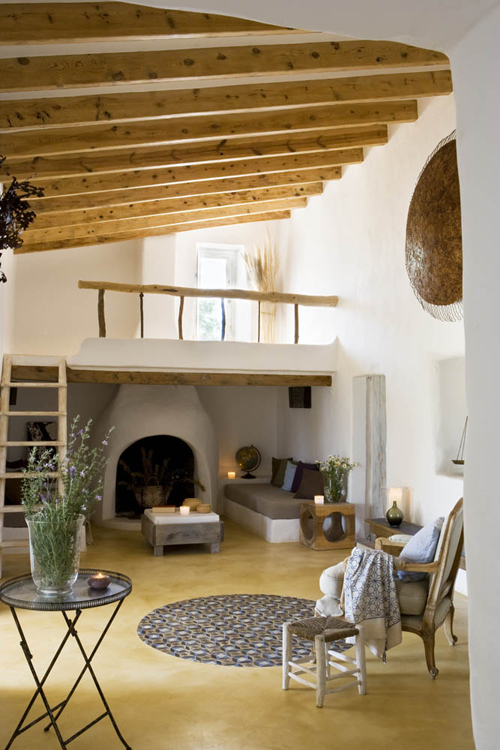 That huge fire place, those beams … everything is just gorgeous! 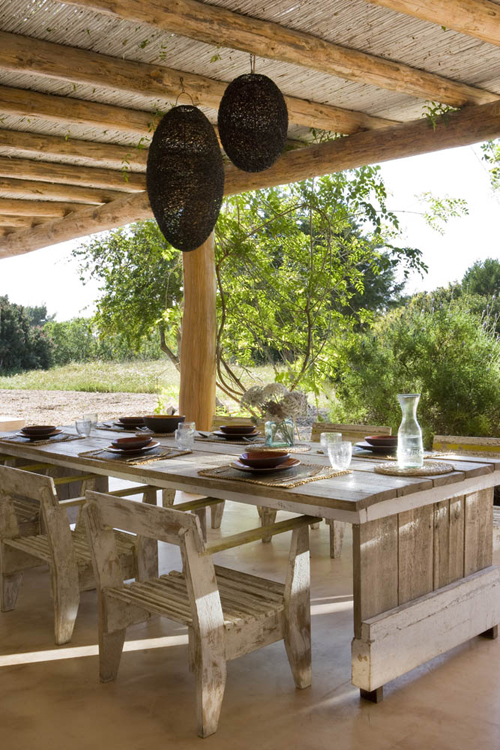 The use of natural materials and the choice of furniture and accessories suits this house perfectly. 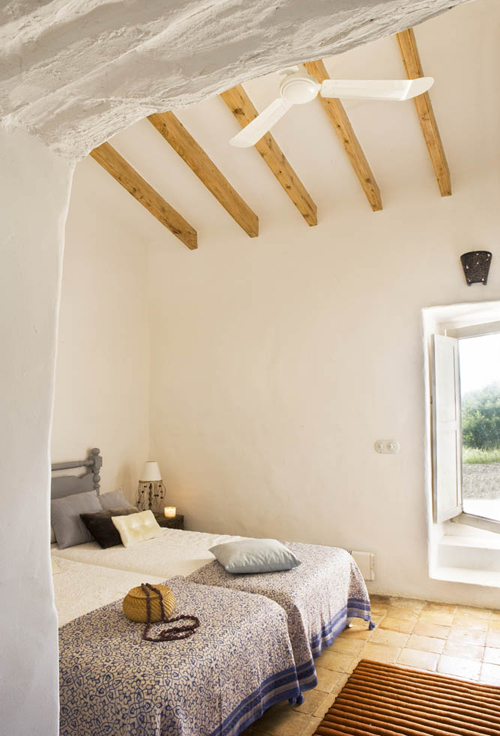 The bedroom (below) is simple but stylish. 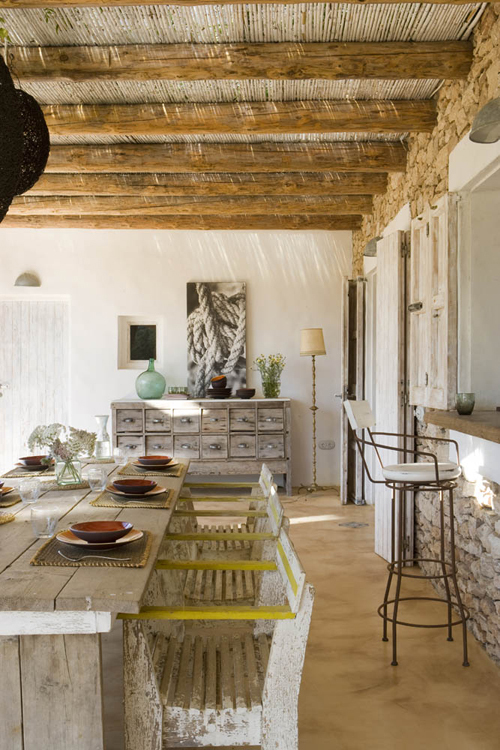 the entire house is GORG! gimme that outdoor space with the pink and purple pillows! that ottoman! everything!!! tell them i’m coming for a visit! BTW…LOVE your blog. Thank you for all the cool and beautiful post!!! I need to move!! love the blog!! I love how they’ve paid as much attention to the ceilings as the rest. Beautiful and tranquil place. my family and I are going to build cob. but id like to build contemporary, clean lines, square walls and not a hobbit hole hahah. do you happen to know how built this? and if there are building plans?